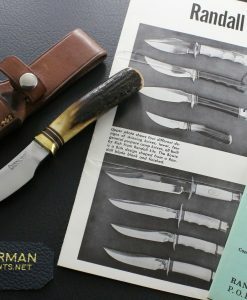 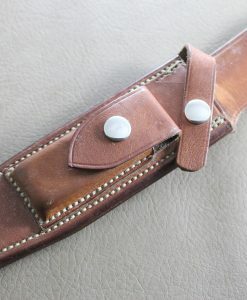 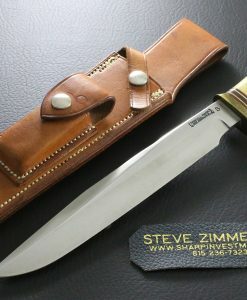 Condition – Unused, knife has been in the sheath. 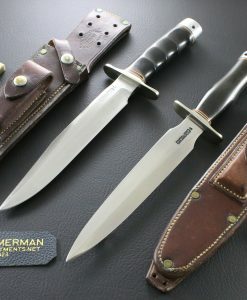 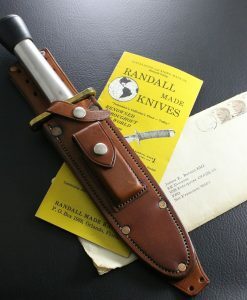 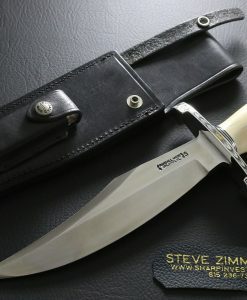 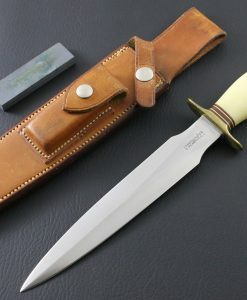 Blade – 7″, original Randall grind and finish, thumb notches on the top spine of the knife. 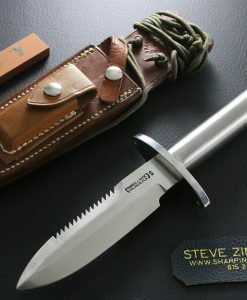 Handle – Single nickel silver hilt with red and white spacers separating the hilt from the handle. 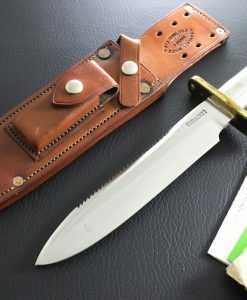 The handle slabs are epoxied on the tang.